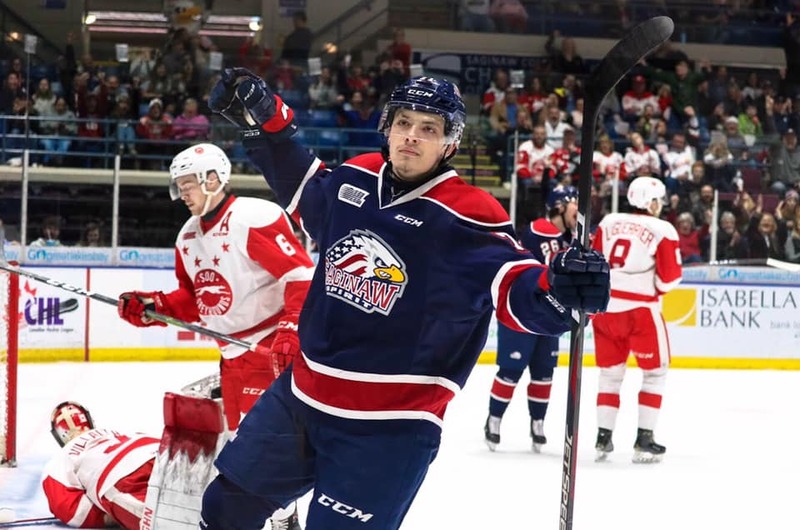 The overwhelming home-ice win gives Saginaw a two games to none lead in the best-of-seven, OHL Western Conference semi-final set. Games 3 and 4 are slated for GFL Memorial Gardens in Sault Ste. Marie on Tuesday and Thursday of this week. Trade deadline acquisitions Ryan McLeod and Owen Tippett — both acquired in separate deals with the Mississauga Steelheads — also had big outings for Saginaw in tonight’s victory. McLeod scored twice and added two assists and Tippett had a goal and two helpers. Yet another forward, Blade Jenkins, also played a prominent role in the Saginaw win with a pair of goals while goalie Ivan Prosvetov made 42 saves for the victorious Spirit. No doubt Don Cherry would say the hockey gods are responsible.